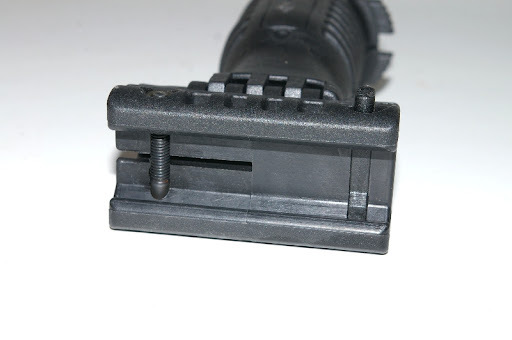 The Mako T-Pod is a simple idea executed elegantly via complex engineering and advanced materials integrating a forward vertical combat grip and a bi-pod. 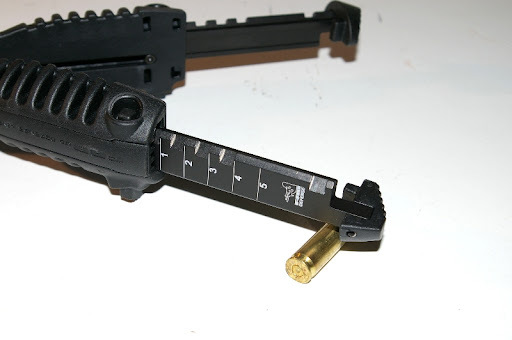 Being a hunter guy vs a AR type guy, and knowing nothing about Mako and it's Israeli FAB defense background, the Mako T-Pod kinda had that Ninja Warrior look about it. 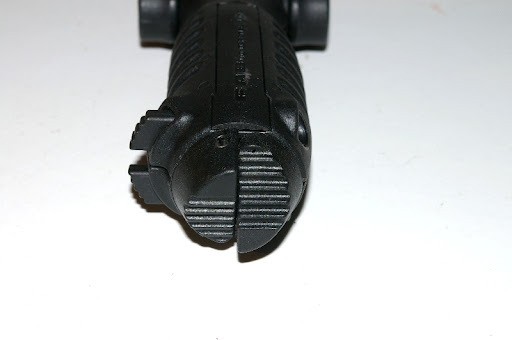 I mean could it really hold up beatings on my DPMS 308. 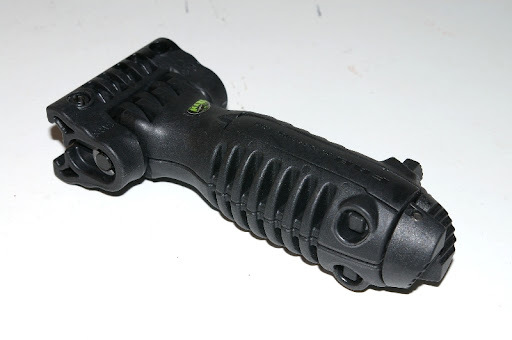 Additionally little if any reviews were done on the accessory, so I am here to set the record straight... the Mako Grip is Israeli made professional grade equipment. You might me a ninja warrior and love the T-Pod, but if you happen to be a Navy Seal operator the T-Pod will still hold up to your worst. The legs are nearly .75" wide billet aluminum and nearly 1/4" thick with locking mechanisms and rated to hold over 250 lbs each. The Drug Enforcement Agency (DEA) actually worked with Mako to develop the T-Pod for urban operations and assault that required fast frequent alternation from tactical sniping to dynamic entry. They needed a stable bi-pod for sniper coverage and a forward grip for aiding in weapon maneuverability all in one unit and the development of the T-Pod was the result. 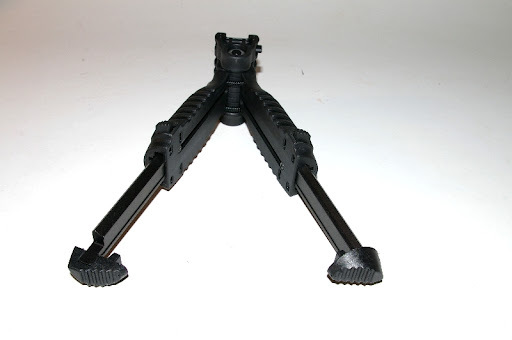 I purchased the black version, brown and tan are also color options, and have been continually impressed with the durability of the grip and bipod functionality. 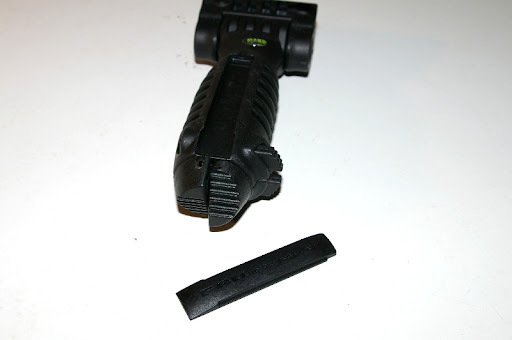 Operation is simple; push the release button, slide it onto a free rail and the grip locks on. 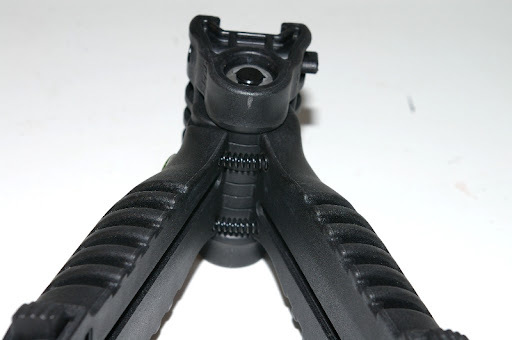 Simultaneously press both buttons on the bottom of the T-Pod and the spring loaded grip and legs split and fully extend automatically. Retraction is simply assuring the legs are together and equally length-ed and press both buttons again to collapse. I hold the grip, press both buttons with my pinky and press the grip downward into the ground or stand to collapse the legs. 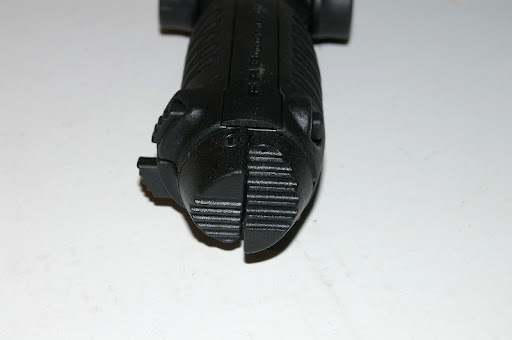 The entire open and close operation can be completed without removing a hand from the firearm. 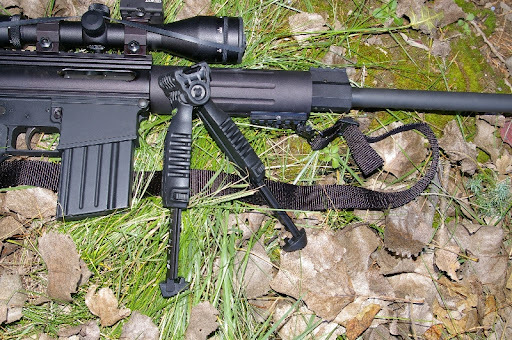 I have been spoiled with my Harris bipod, however with fully adjustable 6 position legs, I have never had a moment with the T-Pod even when bench shooting my .308 that I wanted the Harris back. 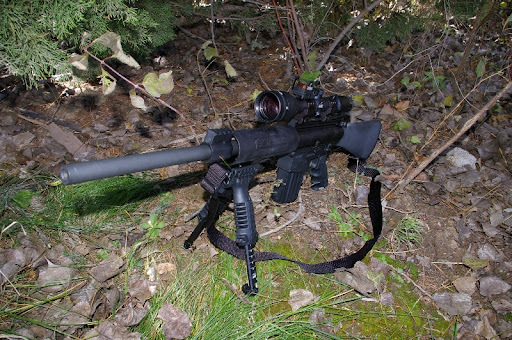 Off hand shooting can be tough with a 9.5lb gun and the forward grip seems to melt pounds off my rifle. 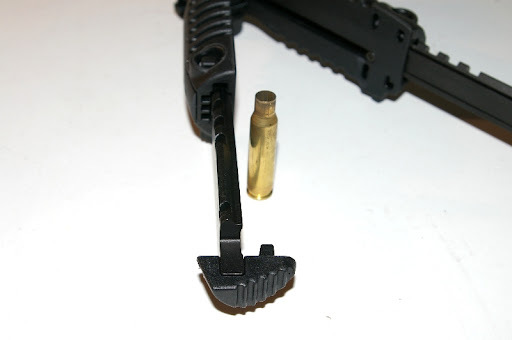 If I am faced with a situation that requires full clearance and bipod removal, the Harris bipod removal to few minutes, but the T-Pod is only a release button and second away from being slide free from the weapon. From a safety perspective both buttons have to be pressed to activate the T-Pod. As you can see here on the right one button is fully pressed, but the T-Pod remains un-deployed. Press either leg button and leg length can be adjusted as terrain needs dictate. If you have loads of pressure switches the T-Pod helps you our with removable pressure switch mount plates on both sides of the Mako T-Pod. 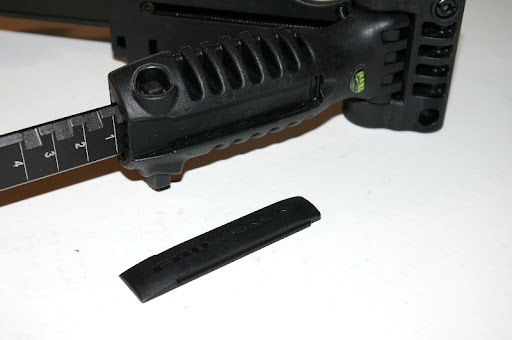 I know there are a lot of options out there for the AR style rifles and the T-Pod certainly is not the least expensive option for a forward grip, but when I build up my next AR project the T-Pod unquestionably will be on my next rifle. 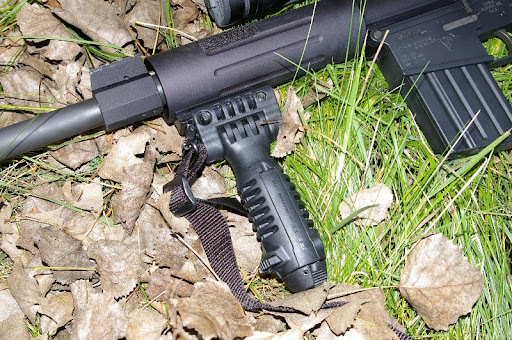 It offers an un-believably handy design with features that I seem to use every time out whether I am deer hunting, varmint sniping, doing range work, or bench shooting. Highly recommended. Scarey situation I wanted to share.